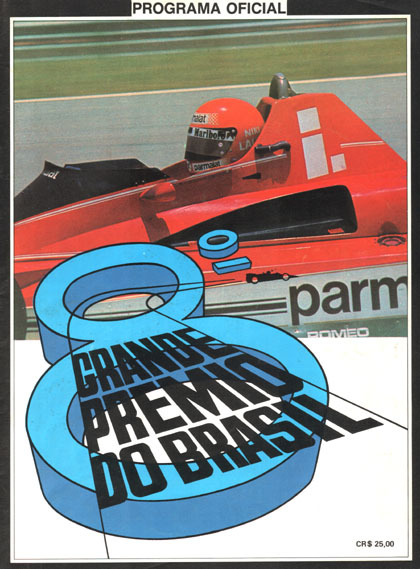 Sul tracciato del "vero" Interlagos (7,8 km), si mettono in luce i piloti di talento; Jabouille (Renault) è in "pole" (2m21s..) davanti a Pironi (Ligier), Villeneuve (Ferrari) e Reutemann (Williams). Al via uno scatto eccezionale del canadese lo porta al comando, ma è costretto presto ai box per problemi di gomme e si scatena poi all' inseguimento; le due Renault sono in testa e il ritiro di Jabouille favorisce Arnoux; dietro gran duello tra Patrese (Arrows) e Prost (Mclaren) 4° e 5° al traguardo. 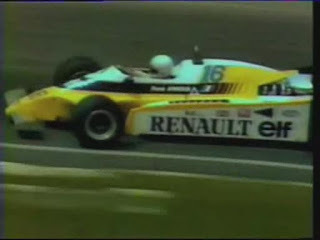 René conquista così la sua prima vittoria in F1, davanti a Elio de Angelis (Lotus) e Alan Jones (Williams). Qualità buona, natural sounds. 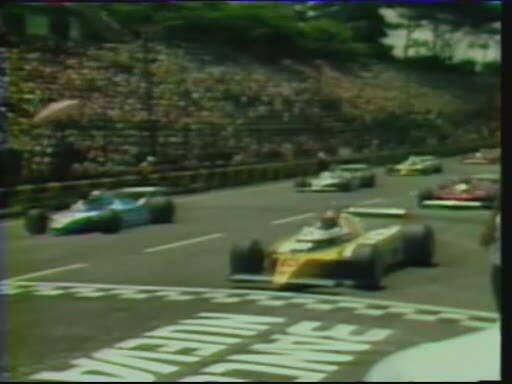 The old line of "real" Interlagos (7.8 miles), will highlight the talented drivers; Jabouille (Renault) is in "pole" (2m21s..) Before Pironi (Ligier), Villeneuve (Ferrari) and Reutemann (Williams). 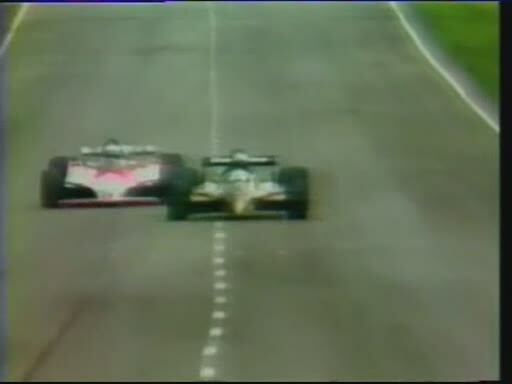 At the start of a great Canadian shot him in command, but is soon forced into the pits for tire problems and then sets off to 'chase, the two Renaults in the head and the withdrawal of favors Jabouille Arnoux, behind great duel between Patrese (arrows) and Prost (Mclaren) 4 ° and 5 ° at the finish. Rene wins so his first F1 victory, in front of Elio de Angelis (Lotus) and Alan Jones (Williams). Good quality, natural sounds. Старая линия "реальной" Interlagos (7,8 км), будут освещены талантливых водителей; Jabouille (Renault) в «полюс» (2m21s.). Перед Пирони (Ligier), Вильнев (Ferrari) и Reutemann (Williams). В начале большого канадского выстрелил ему в команде, но вскоре вынужден в боксы для шин проблемы, а затем отправляется в "погоню, два Рено в голову и вывода польза Jabouille Арну, за большой поединок между Патрезе (стрелки) и Прост (McLaren) 4 ° и 5 ° на финише. 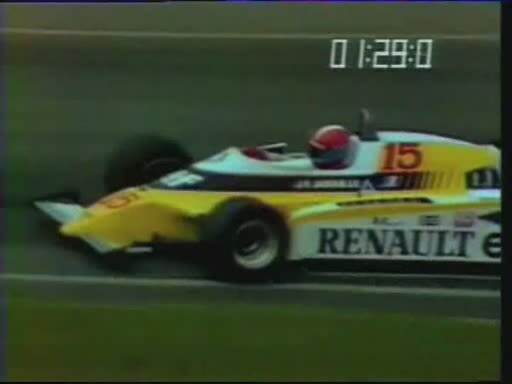 Рене победит так свою первую победу F1, перед Элио де Анджелис (Lotus) и Алан Джонс (Williams). Хорошее качество, естественные звуки.